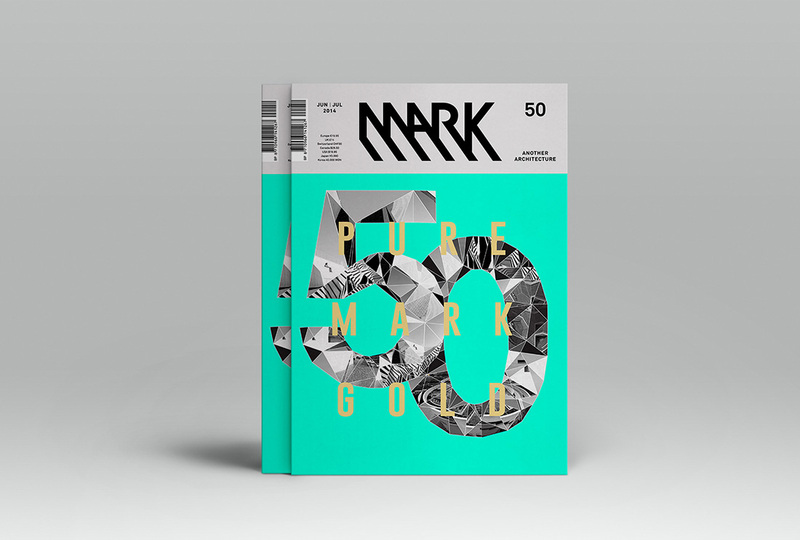 For their 50th anniversary edition Mark magazine launched an international design competition. 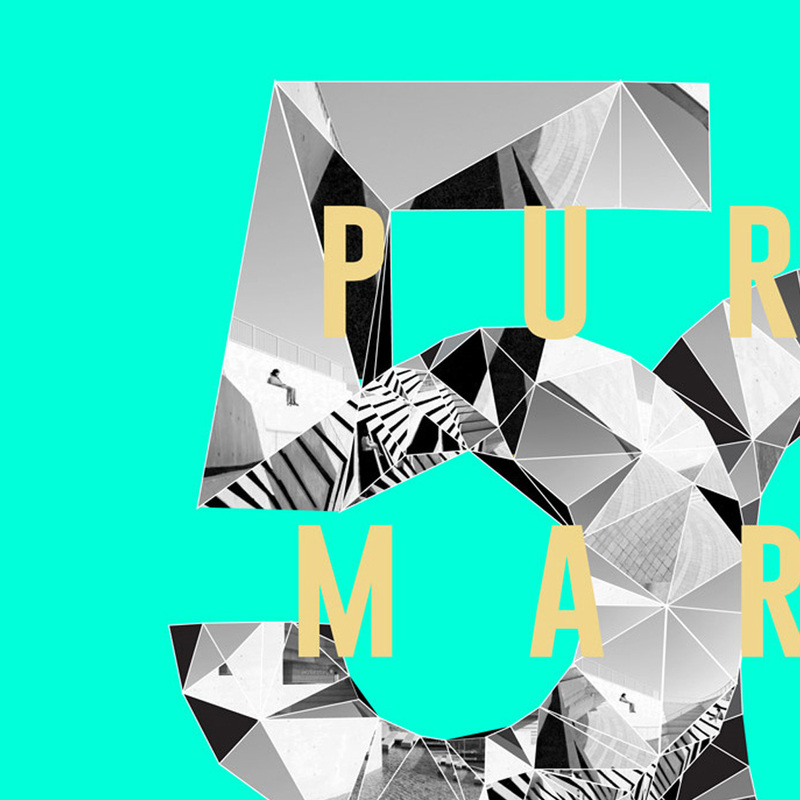 &Agency design entry illustrates reflections of two of their featured buildings in a faceted 50. Inspired by the reflections in a metallic helium balloon. 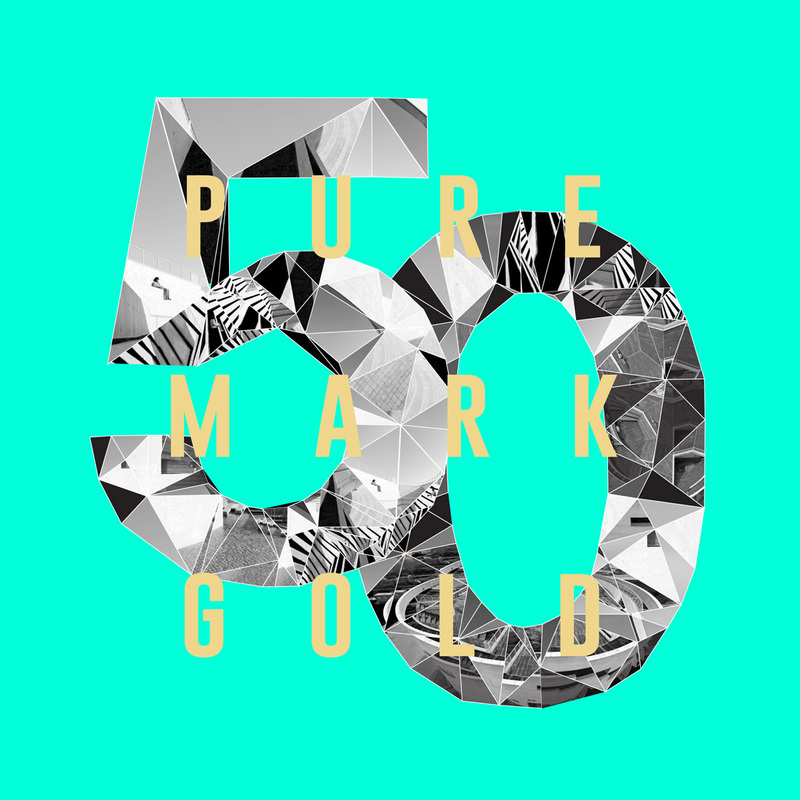 “Pure Mark Gold” plays on a hallmark celebrating a 50th golden anniversary, printed in gold metallic ink.